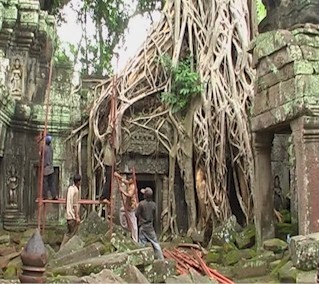 Ta Promh Temple comes as a complete surprise because it's pretty much the only building in Angkor that has not been reclaimed from the jungle. 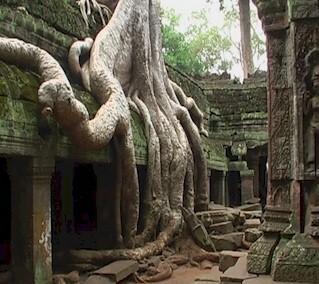 The so-called 'Tomb Raider Temple', Ta Prohm is cloaked in dappled shadow, its crumbling towers and walls locked in the slow muscular embrace of vast root systems. 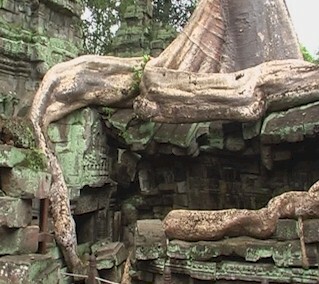 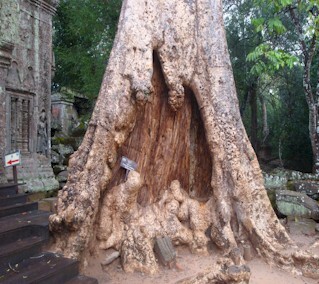 Undoubtedly the most atmospheric ruin at Angkor, Ta Prohm should be high on the hit list of every visitor.